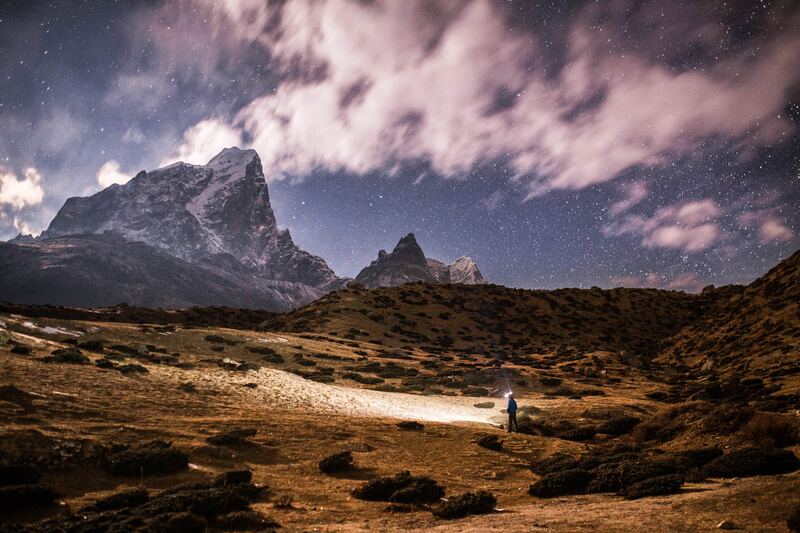 The Everest Base Camp Trek leads you to the powerful mystique surrounding the foot of Mount Everest. By going on this trek, you will be following the footsteps of great mountaineers like Reinhold Messner, Edmund Hillary and Tenzing Norgay. It’s a trip that you will never forget: thrilling, difficult and breathtaking. 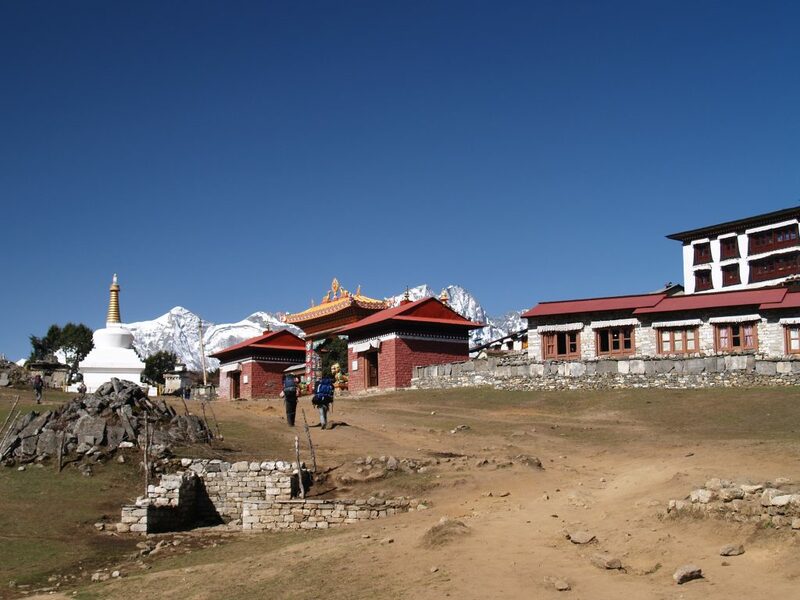 The first day of this trekking is already exciting as you’ll take a mountain flight to Lukla. The continuously climbing and descending the first couple of days are the most challenging. The route goes from west to east, while the rivers and valleys run from north to south. 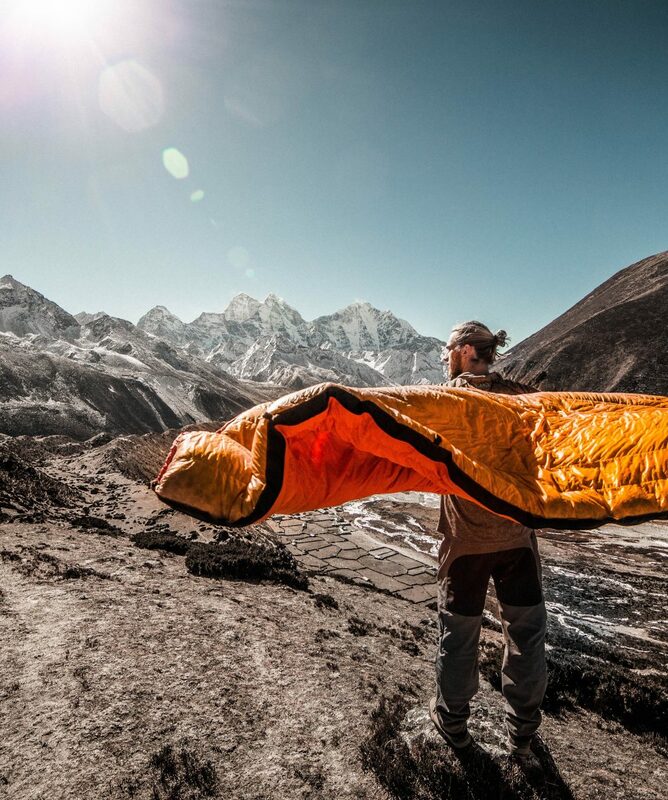 The final part leads you through Khumbu, the home area of the original Sherpa’s. As you climb through the foothills of the world’s highest mountain, the terrain soars on all sides like jagged shards of glass. The trails are steep and the altitude hangs on your muscles like a diving belt, but the sense of achievement at the end of the trek are quite amazing. However, this is not a mountaineering expedition or a wilderness survival experience. There are many mountain lodges along the way. Rather than trekking up and downhill the same way, you can stitch your Everest Base Camp trek with the Gokyo Lake by crossing Cho La pass (5420m). 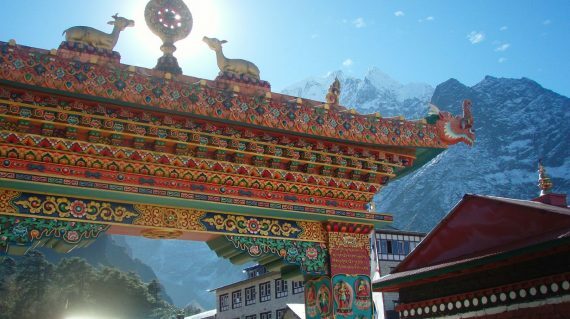 Go for more info about these treks combined to the 16-days Everest Base Camp Trek via Cho La & Gokyo Lake. 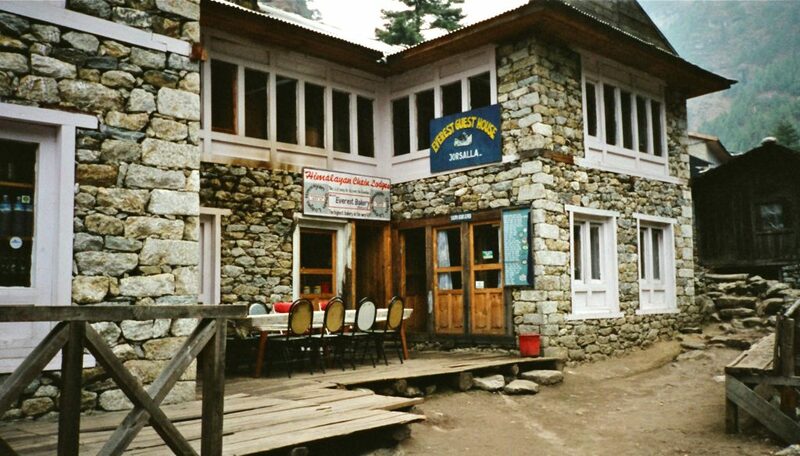 If you want to trek as the legendary mountaineers do, start your Everest Base Camp trek in Jiri. 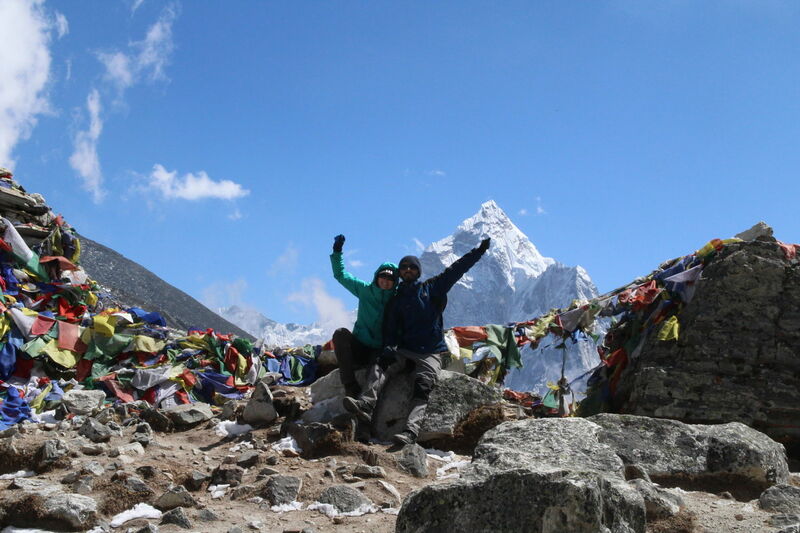 Go for more info about the original route of 22-days to the Classic Everest Base Camp Trek. 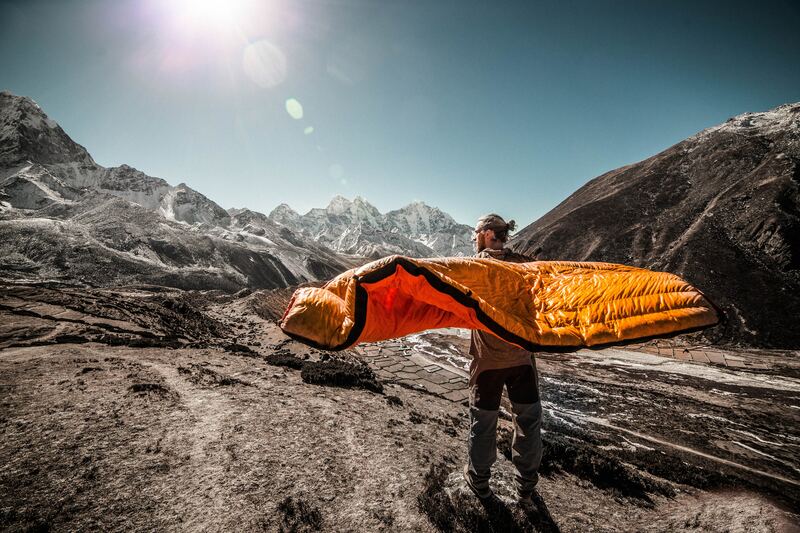 Or, are you up to the biggest Everest trekking challenge? 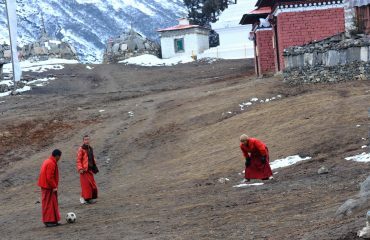 Which means, you will exploring all three major valleys of the Everest region by crossing 3 high passes of over 5,000m. 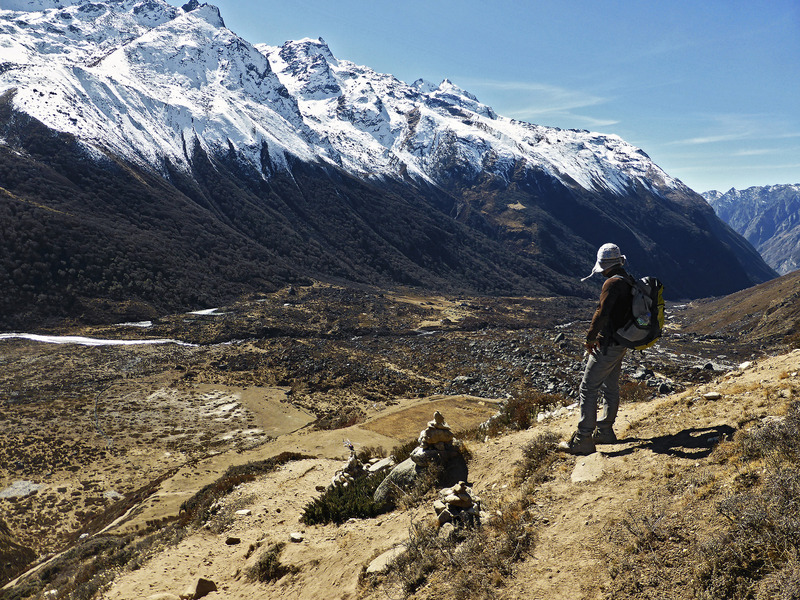 Then do to a look at the massive Everest Region Trek via three passes. 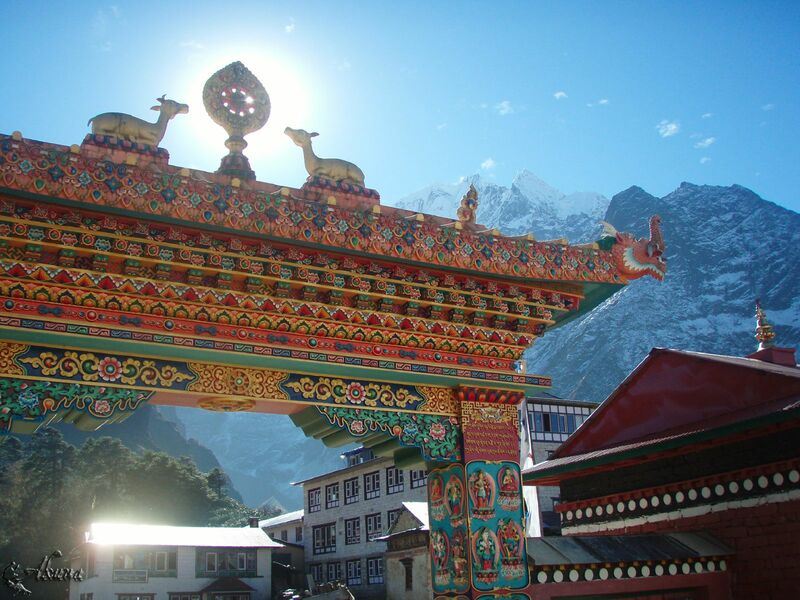 Early morning, your guide takes you to Tribhuwan International Airport for the short but scenic flight to Tenzing and Hillary Airport at Lukla (2804m). 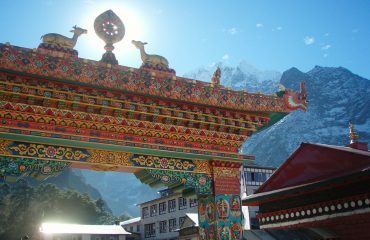 Upon arrival at the airport, your guide will brief you and introduce your sherpa’s before beginning your trek towards Phakding (2610m). 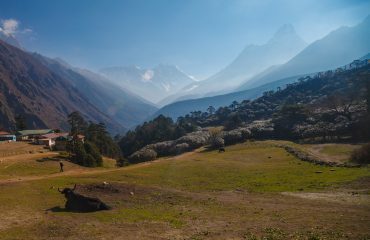 We spend a day here in order to acclimatize and adjust to the thinning of the air, as well as a short trek where a museum is celebrating the traditional customs of the Sherpa people. Today we hike up the Syangboche Airport around Everest View Hotel. From this point, we can see rewarding views of the Himalayas with stunning sunrise and sunset over the panorama of Khumbu peaks. The trek continues along the rushing glacial waters of the Dudh Khosi with magnificent views of the mountains. We trek to an altitude of 3870 meters today. 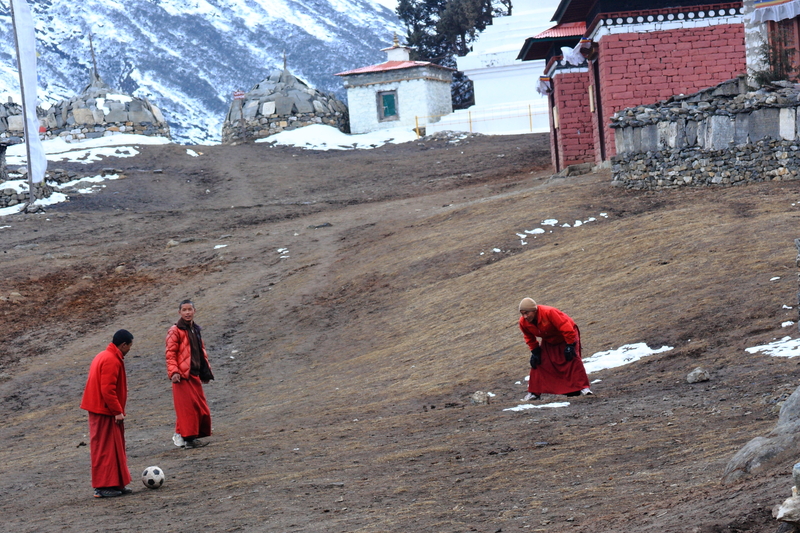 On reaching Tengboche you will see the local monastery. Inside the monastery are incredibly ornate wall hangings, a 20-foot sculpture of Buddha, and the musical instruments and robes of the Lamas. 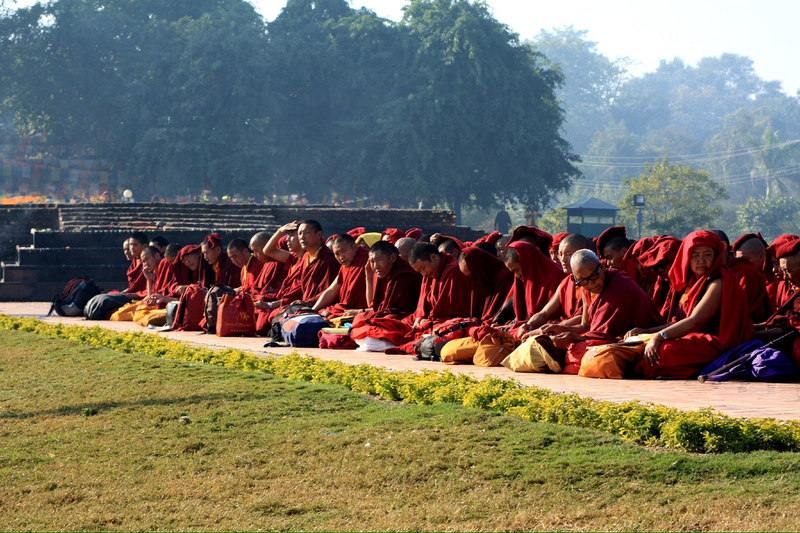 The group will be taken to observe a prayer ceremony either in the evening or morning depending on how the day’s trekking went. From Tengboche the trail drops to Debuche, crosses another exciting suspension bridge on the Imja Khola, and climbs to Pangboche amongst thousands of mani stones. Our uphill trek continues, taking us to the quaint traditional Sherpa village of Dingboche (4350m) with its exquisite views of Lhotse, Island Peak, and Ama Dablam. We take our time so we avoid getting affected by the altitude. Today you can enjoy another day for acclimatization. We will have a trip to Chhukung valley via the Imja Khola valley to get a marvellous view of the surrounding mountains, especially Lhotse’s massive south wall, then return to Dingboche in the evening. This is another big and difficult day walk along the Khumbu Glacier and up to Everest Base Camp (5364m), the closest you can get to Mount Everest without mountaineering equipment. There will likely be a team about to attempt the summit. The view of the Khumbu Icefall from Base Camp is spectacular. We return back to Gorak Shep (5180m) for the night. 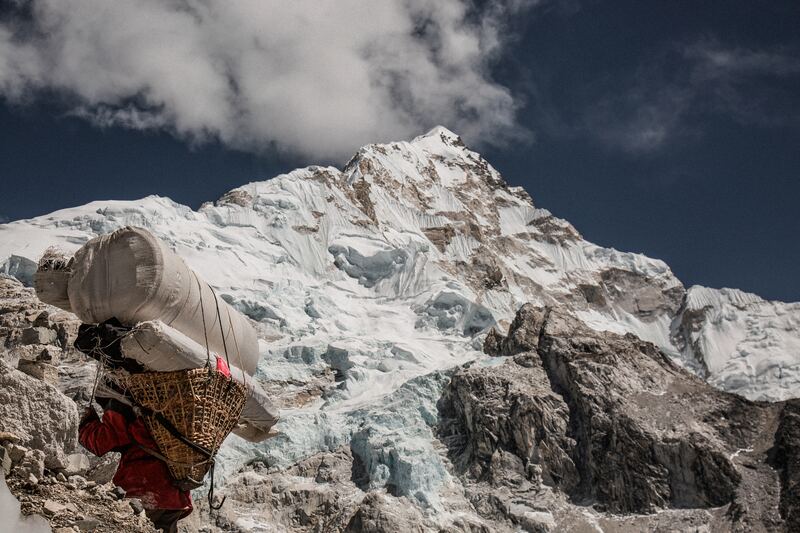 This will be one of the most difficult yet rewarding days of the trek. 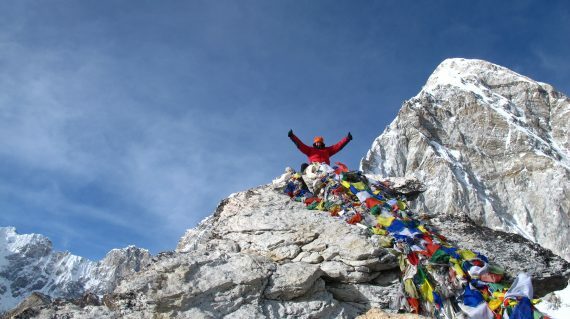 Most of morning in this day is spent climbing Mount Kala Pattar (5545m), a small peak by Himalayan standards. 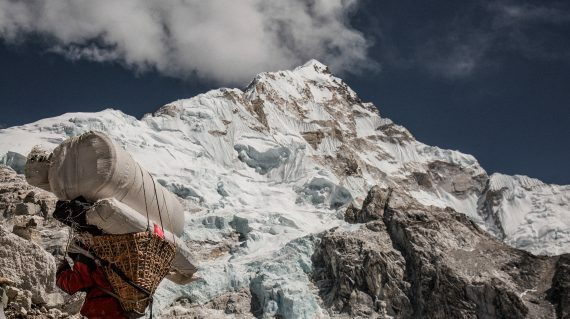 The ascent is demanding but the climber gets the most magnificent mountain panorama: Everest (8848m), the highest point on the planet, towers directly ahead and on all sides loom the other giants, Nuptse, Pumori, Chagatse, Lhotse and countless others. 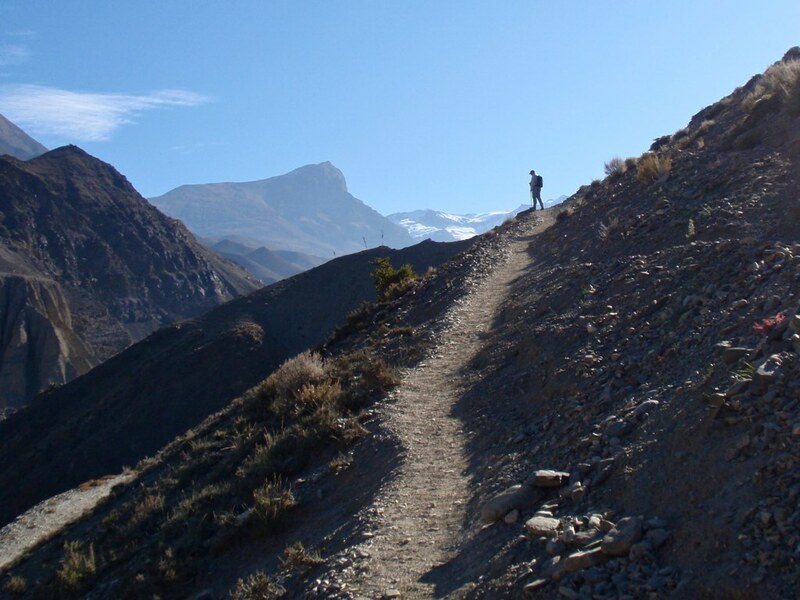 We make a quick descent to Gorak Shep (5180m), a tiny hamlet, then trek down to Periche (4200m). Finally we return to Lukla where the trek began, which will seem like a lifetime ago; enjoying time to reflect on the trek as a group and the personal achievement of all those who took part and also giving you time to explore the town. View from Tengboche by Chris M.
Mount Everest by Christopher B.
Everest trek by Martin J.